Even a casual conversation with Dr. Hayes could produce a learning experience. When he talked about the weather, it was with the knowledge of a professional. After graduation from Henry Clay High School in Lexington , he attended Kenyon College in Ohio , where he completed the premeteorology program. He put his studies into action in the Army Air Corps during World War II, studying weather patterns and helping to develop early radar technology. Always ready to learn, he took advantage of education and training opportunities, completing further studies in radio and electronics. After military service, Dr. Hayes enrolled at the University of Kentucky on the GI Bill. By the time he completed his bachelor of science degree in electrical engineering in 1948 and master’s degree in physics in 1950, he was well known as a student leader. He was elected president of the student chapter of the American Institute of Electrical Engineers, representative to the Engineering Student Council, and vice president of Phi Kappa Tau fraternity. He was the first president of the student chapter of Eta Kappa Nu, the international honor society for electrical engineers. In 1948, he was named the outstanding engineering student at UK by the alumni association. After earning a master’s degree in physics at UK in 1950, Dr. Hayes worked as a field engineer for Western Electric Company, working with military electronic equipment. In 1954, he began a long association with the Georgia Institute of Technology. He joined Georgia Tech as a research engineer, and also taught electrical engineering. He was a student as well, and earned a master of science degree in electrical engineering in 1957 and a Ph.D. in 1964. Neal Alexander, a student under Dr. Hayes who later became a colleague and friend, said Dr. Hayes was not a traditional teacher. He often challenged his students on a quiz by putting problems in a more complex framework, rather than presenting each problem individually. It gave students a better idea of what to expect in the real world, Mr. Alexander said. 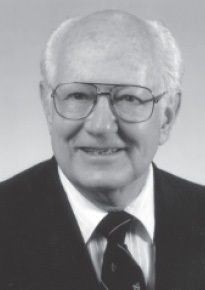 Dr. Hayes left Georgia Tech in 1966 to join the Harris Company in Florida as head of the advance engineering group for the RF (radio frequency) department, but returned two years later as a professor of electrical engineering and principal research engineer. He retired in 1980 and formed his own consulting company, RDH, Inc., specializing in research and development. His distinguished record helped him develop business relationships with many organizations, from institutions of higher education to leading corporations and the U.S. military. He also served as a member of the continuing engineering education staff at George Washington University for more than 10 years. Dr. Hayes’ honors are numerous and varied. He is listed in Who’s Who in American Education, American Men in Science, Marquis Who’s Who in the World, in the South, in Science and Engineering, and in Finance and Industry. Renowned in the field of radar, Dr. Hayes served as session chair and on many steering committees for conferences and workshops. He published more than 60 technical articles and reports, co-authored a textbook, and authored chapters in several others. Dr. Hayes was a life senior member of the Institute of Electrical and Electronics Engineers. The Atlanta area and his adopted state of Georgia benefited from his desire to serve others. He served as Governor of Georgia Kiwanis International, chair of the Cobb County Planning and Zoning Commission, and in many other leadership roles. His ties to Kentucky and UK remained strong. In 2001, the UK Board of Trustees accepted his gift to fund the Dr. Robert D. Hayes Endowed Graduate Fellowship in the Department of Electrical and Computer Engineering. He was also known as a “sly” poker player among a group of close friends who gathered for games on a regular basis. That group now plays a game they call ” Kentucky Hold-’em” in honor of Dr. Hayes. Dr. Robert Hayes died November 12, 2005. his wife, Jean Copeland Hayes, passed away in 2014. They are survived by four children: Bill Hayes, Kathy Rottersman, Carol Hayes and Jennifer Whitehead; and three stepsons, Steve Williams, Glenn Williams, and David Williams.